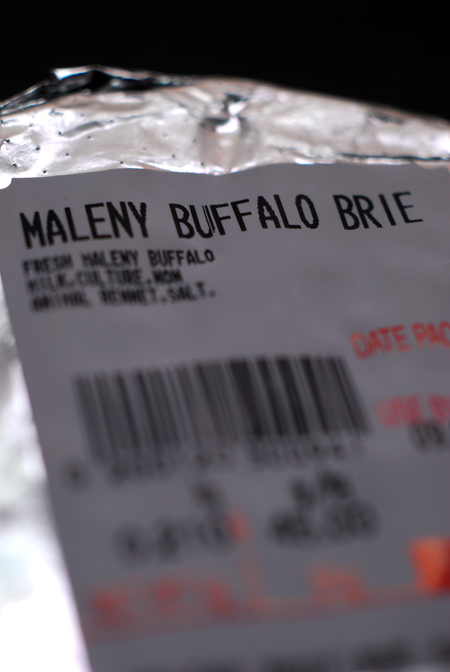 The milk is sourced from a local Buffalo herd, one of only four in the country. This is a firm cheese to handle totally different to the delicate nature of their Le Blochon. 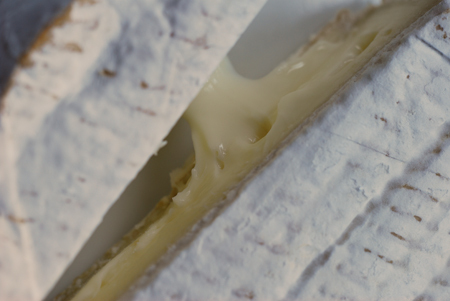 There's an earthy aroma to the cheese that is pleasantly devoid of any traces of ammonia. It's beginning to break down and develop those runny characteristics - if I was to leave it another week or so this would be more pronounced. 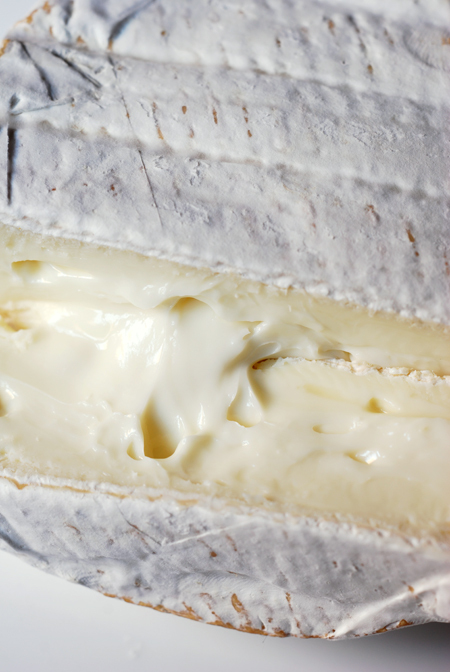 When cut it's main difference to regular cows' milk brie is evident - it's a whiter interior very similar to that seen in goat cheese. The skin on this is quite thick and the taste can dominate the rather mild core. There's a lovely creaminess and sweetness to this, characteristics of the buffalo milk. 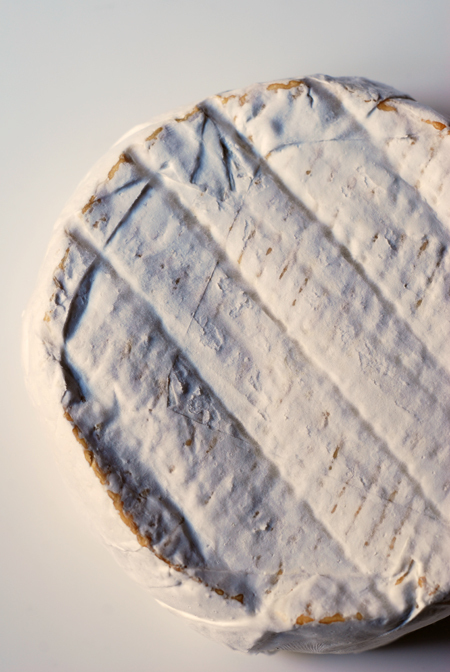 If you are seeking a change from your regular Brie, then this would be a good place to start.